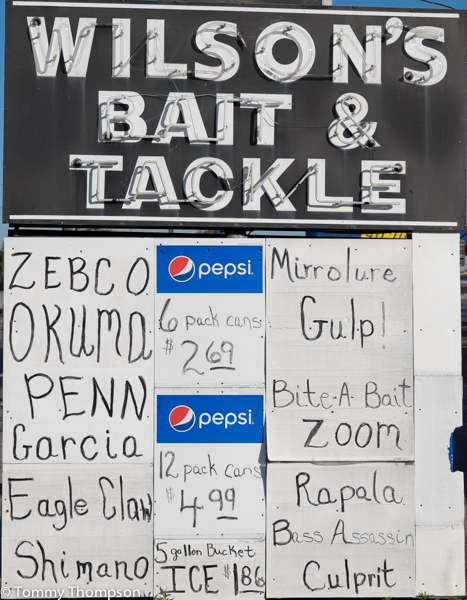 Have you seen that neon sign outside of Wilson’s Bait and Tackle in Perry? And do you remember that it used to move, flash, and say, “Take a BOY Fishing”? Well, times have changed, and lots of GIRLS go fishing–but Wilson’s is pretty much the same. In the world of the “www” and outdoor “megastores”, places like Wilson’s are slowly going away. But a few bait and tackle shops still remain, well-stocked and friendly, and supported by local anglers who want good information, fresh bait, some ice and maybe a few cans of cold beer for the trip. Wilson’s is located at 1702 S Byron Butler Pkwy in Perry, Florida (850) 584-6157. Just look for the “Take a Kid Fishing” sign. 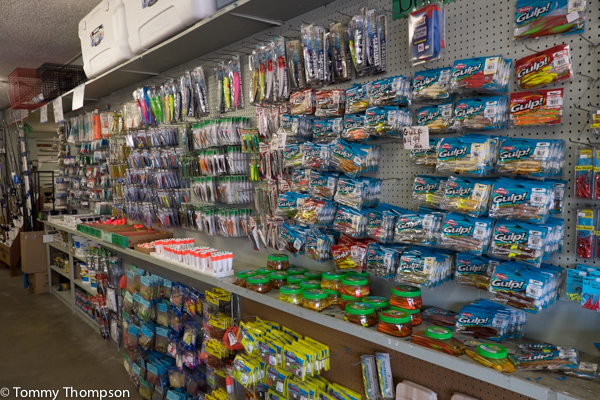 Wilson’s is well stocked and sells name brands of tackle and fishing supplies, as well as live bait. Perry, Florida’s Forest Capital, is not on the coast, but there you’ll find lots of good hotel rooms and good things to eat. And plenty of local anglers head down Puckett Road to Spring Warrior Creek or down Beach Road (CR361) to Dekle Beach, Yates Creek, Keaton Beach or Steinhatchee to catch big seatrout or redfish. Wilson’s is a great place to stock up when you’re headed out towards the coast.